Mission Control Marketing is the essential agency partner to the CMO at mid-sized b-to-b organizations. Taking a holistic approach, we provide strategic marketing counsel and channel-agnostic execution with an unflinching focus on increasing sales and driving overall business growth. Are your webinars leading directly to sales? 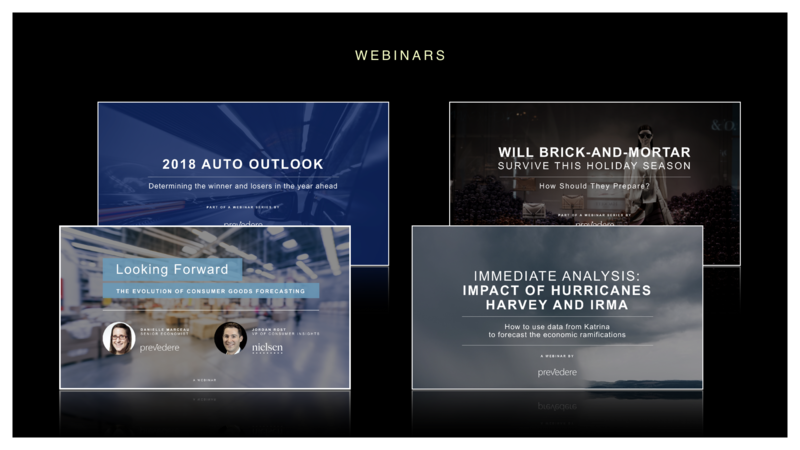 In 1H 2018, we developed a marketing campaign centered around webinars for Prevedere, an enterprise technology company. The results? More that $1,000,000 in new business pipeline (and counting). Download our case study to find out how we did it.